Skiers and snowboarders around Verbier, listen up! 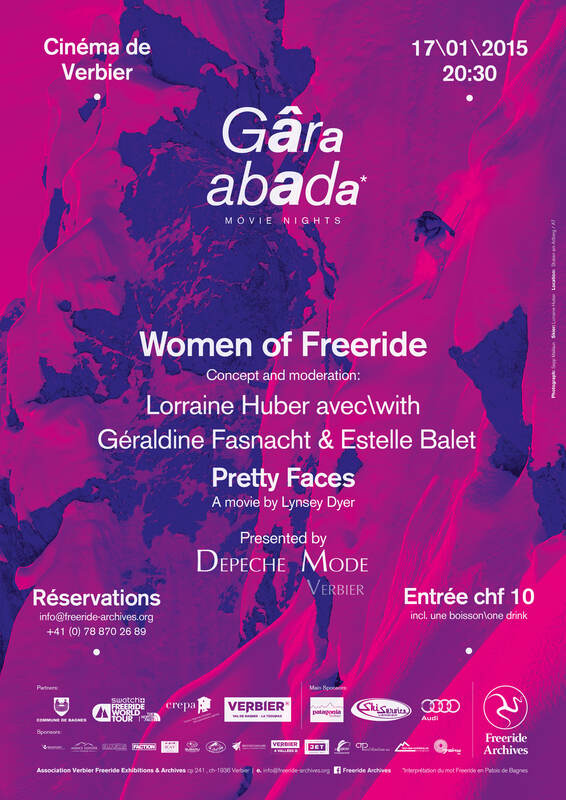 The ‘Gâra abada movie nights’ are putting on a WOMEN OF FREERIDE film night this Saturday, 17 January, at 8:30pm in the Cinéma de Verbier. A special film night dedicated to female ski and snowboard athletes, celebrating authentic grace, real beauty, genuine comradeship and a shared love for skiing and snowboarding. The feature film of the evening embodies this perfectly: Unicorn Picnic’s ‘Pretty Faces’ by Lynsey Dyer, an all female ski film nominated for film of the year by Powder Magazine. The WOMEN OF FREERIDE film program was put together by Lorraine Huber, professional freerider and runner-up Freeride World Tour champion. “This film night provides a cross section not only of the high level of female freeriding today, but also features films with a unique approach to filmmaking: films that highlight feminine strengths instead of trying to simply emulate male ski and snowboard movies”. Special guests include Geraldine Fastnacht and Estelle Balet, who will be on stage to talk the the audience personally. Natalie Segal, a competitive freeride skier based in Verbier, will be moderating the evening instead of Lorraine Huber, who unfortunately can’t be present due to injury.